HIS CROWN. HIS CURVES. HIS FATED MATE. Lyla Redd has just stolen her last precious artifact from the Klamath Bear Clan. The curvy smuggler got away with it before, but she doesn’t know serious danger can arrive anytime in big, dark, and very muscular packages. 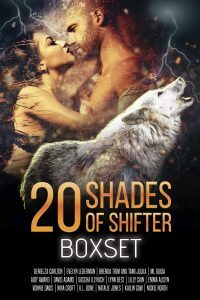 When werebear Alpha Nick Tunder lays eyes on the voluptuous beauty he’s been sent to kill, he realizes the mission is a bust. Taking back his people’s treasure is the easy part. Keeping Lyla away proves much harder, especially when she pursues and ends up in his bed for a thorough spanking. Then the other Klamath bears find a human woman on their turf. Fur and claws fly as Lyla is sentenced to a darker fate. Soaring passions hide much to explore, just like the mysterious artifact that brought them together. Deep love, lust, and an answer to their woes in an ancient royal bloodline are almost in reach, if only they can put the pieces together and their hearts on the line.